The envelope that sent me looking at old movies. 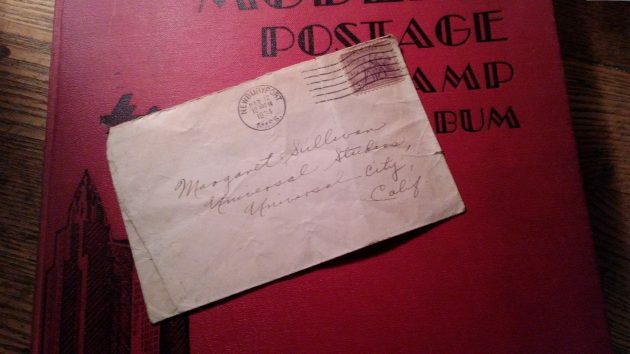 Eighty-three years after it was mailed to a Hollywood actress, a little envelope with its 3-cent stamp caught my attention in Albany on New Year’s Eve. If from that lead you’re hoping for a mystery with a thrilling twist, sorry to disappoint you. But I’m intrigued enough by old stuff to write about it now and then, even though there’s no overwhelming point and the full story remains unclear. This envelope turned up in the remnants of a stamp collection that was assembled by my wife’s late uncle when he was a boy in Burbank, Calif. It’s been sitting around in two or three cardboard boxes at our house for a few years. With the New Year upon us and thoughts naturally turning to the past, I went through it again on the last night of 2016. I found the envelope, and it told me a story, sketchy and speculative though it is. 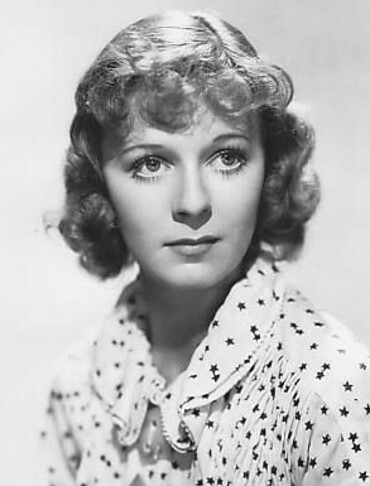 Margaret Sullavan had been a stage actress, and in 1933 she made her movie debut in a film called “Only Yesterday.” (Bless the Internet and Wikipedia for serving up facts like these at the click on the keyboard.) The movie is about the aftermath of the 1929 Wall Street crash. You can see it on YouTube, though the reproduction is not good. In any case, at the studio in the San Fernando Valley (where I went to school three decades later), somebody in charge of fan mail opened the letter, fished out the contents, and handed the envelope to a coworker whose kid she knew was collecting stamps. As for Margaret Sullivan, she followed “Only Yesterday” with several other movies including, in 1934, “Little Man, What Now?” It’s a drama about a young couple trying to make ends meet in Germany after the First World War, and the YouTube version is a lot clearer than “Only Yesterday.” Margaret made her last movie in 1950, and in 1960 she died at the age of 50.